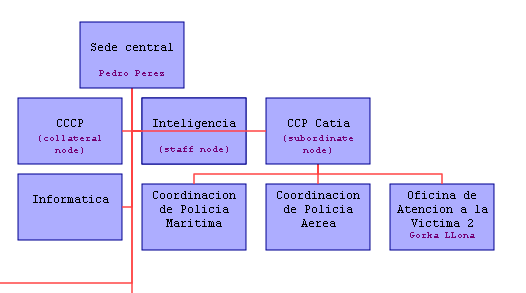 Co heads of a functional areas. Are there any competing tools that give better support for the above. NOTE: For Gorka LLona, who suggested this solution below in one of the answers, i found a few bugs, here is a screenshot of the issue i am running into using your test example. In short @Cam is right, but you don't necessarily need to look at Silverlight or Flash. I would recommend looking into the Raphael.js library. It's more low-level than what you seem to be after, but the API is pretty simple. In particular the Graffle example would be a good place to start. 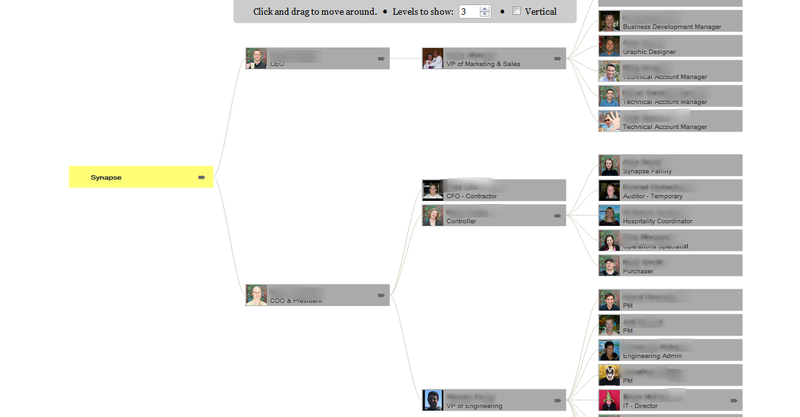 I've just published lib_gg_orgchart. It uses a JSON input and draws the chart using Raphael. This library satisfies requirements #1 and #2 of the original question. If you find it useful, please let me know. The automatic layout algorithms in the library can both deal with purely hierarchic tree structures, but can also deal with "near-tree" structures, where elements can have multiple parents, e.g. to model a management team or multiple parent companies. The library also has layout algorithms that can deal with generic graphs with arbitrary cyclic complexity and with the edge routing algorithms available, even rare edge cases can be visualized nicely, where edges that do not belong to the strict hierarchical tree-structure can be routed, too (e.g. to indicate an additional layer of relationships) - this is not part of the demo linked above, though, at the time of writing. The more generic layout demo however shows several of the layout algorithms and many of their options in action. Disclaimer: I work for the company that creates that library, however on SO I do not represent my employer. My comments, thoughts, and answers are my own. If you're looking for alternatives that works as a service like google does, I don't think you have any. If you're looking for libraries (js, php, flash) that can create these charts for you (you can install the libs in a server, and create a simple interface to create the chart objects) you can search for older posts in SO or by searching some blog posts in google. 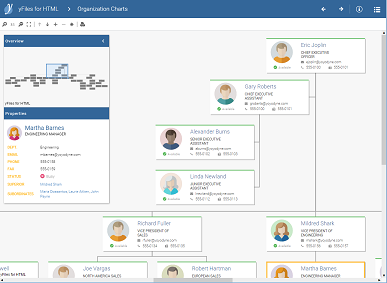 If you're only interested in an Org Chart creator, just to get the work done, nothing beats Creately's solutions in my opinion. If you need to create just one diagram, and don't want to pay for it, you can use Lovely Charts. Personally, I'd be looking at some of the rich embedded media like Silverlight or Flash. Is that an option for you? Is there a link to the “latest” jQuery library on Google APIs? Has anyone produced SPC charts with the Google Chart API? Google Chart my Y axis dont show right numbers?